Everyday is perfect for project life & just about everything else! 9 journal card packs (128 cards in all) – 116 3×4″ and 12 – 4×6″ in .AI, .EPS, .PNG, layered .PSD & .TIF formats. 32 custom shapes .CSH (Photoshop file) & 300dpi colored .PNG’s as well as .AI & .EPS vector files. 128 FREE personal use journal card printables from this collection just for you! wow, so generous!! and such gorgeous cards, thank you! Thank you, thank you for the freebies! Love them! Thank you sooo much!! !…Love it!! Thanks! Love your work. These will make a great addition to my PL collection. Woww thank you this is cool!!! wow! you are awesome! thank you! love love these so much!! Thanks for sharing. Amazing colors and designs!! Thank you Thank you! I love these. This is an amazing gift – thank you so very much – I will be visiting often! lovely colors! You’re very talented. thanks for sharing. Thank you so much. These are so awesome. Thank you so much! These are amazing! I am just getting into journaling and these are going to really help! Thank you – these are so cute! this is awesome!!! Thanks so much!! Wow this is awesome! Thank you!!! Wow! THANK YOU so much! Beautiful cards with so many uses for scrapbooking, abc books, numbers, project life books… WOW! oh my gosh! these are gorgeous! you are so generous and i really appreciate this beautiful project life kit! Wow – these are amazing! Thank you SO much!! You are the freebie queen…love your work…thank you so much for sharing!! WOW! Your talent and generosity just amazes me! Thank you SO much for sharing with us! Oh mylanta! These are beyond amazing. You are not only super talented, but extremely generous to share such wonderful goodies. Thank you! Just wanted to say THANK YOU SO MUCH for so many colourful bitz!!! I love these! Thanks so much for your generosity! WOWWWWWWWWWWW thanks for this amazing gift!! OMG thank you so much …really in love with this! Oh wow, these are lovely and cute too, thank you so much for your generous sharing! Thank you so much for your generosity. These cards are fantastic! Wow, these look amazing!! Thank you so much! Thank you for your generosity! Can’t wait to use these in my project life book! ces cartes sont magnifiques merci beaucoup de les partager !! vous êtes trsè douée ces cartes son t vraiment superbes !! Thank you for the beautiful cards! You are very generous. thank you thank you thank you thank you!!! a huge thanks for the freebie. really appreciate it! Your designs are so appealing but I have to say they are the BEST quality. I printed using my Canon Pixma onto Canon Matte photo paper (excellent for crafts vs. photos) and I am just drooling over the vibrant colors and crisp graphics. I cannot express my thanks enough!! These are ONCE AGAIN amazing!! Thanks so much for your generosity!! Thank you!!! You’re stuff is always so gorgeous! This is incredibly generous, thank you so much! Your designs are so wonderful, it’s a huge treat to get so many at once. Thank you!! Thankyou for your amazing generosity! These are gorgeous! Thanks for the freebies! You are the best! Thank you SO MUCH!!! These are beautiful! thank you. great start for a new year! Can’t thank you enough for these beautiful journaling cards. Your work is awesome! LOVE THESE! Thank you so much! I LOVE, LOVE, LOVE you products! it would be crazy if i don’t get these! everything here is so pretty! love your style. thanks. Merci pour ce fabuleux kit! Love them all, big thanks! Thank you so much for sharing these, I LOVE them. i have only just started PL and these cards match my PL cards so well. Love your work – thank you so much! You are fantastic!! Thank you! So colorful and pretty! Thank you very much for sharing this huge collection! So pretty! ♥ Bright and colorful. Thank you! Thank you! Thank you!! I love them! Thank you soooo much for sharing this awesome freebie! thank you very much! These are wonderful! I love your work! WOW , these are SOOOO PRETTY ! Thank you so much for creating them and then being so super generous sharing them with us. LOVE these! Thank you so much!!! Thank you; I am going to try my easy version of project life and these will help jazz my pages up so much. Thank you so much!!!!! THANK YOU THANK YOU!! These are amazing. I’ve been looking for Project Life Journal cards and I love everything about these. WOW! Just found this. Thanks SO much! OMG!!!! thank you SO much!!! It’s just amazing!! 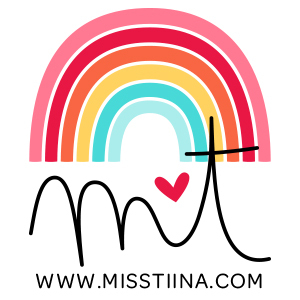 you’re amazing – thank you so much! These are fabulous! Thank you for sharing them! Thanks SO much for this AWESOME collection! 128?!!! wow! thank you so much! you are so generous! Thank you so much for sharing these!! They will work perfectly with the SNAP collection I am piecing together for birthday gifts for my twin nieces! Love the bright colors – these will be perfect for their first Project Life books – Documenting their 15th year of life! Thank you again!! Have a terrific day!! Thank you so much! You are so creative & talented! Merci pour votre générosité, je vais me régaler à créer. Thanks so much for sharing these with everyone! i love the bright colors and really appreciate all the hard work! I’m new to project life so this will be a great way to get me started! Thanks so much! Wow, what a really huge gift. I love this look. I can’t wait to print them out and start using them. Thank you so much. Love this freebie, but as I’m new to PL, just wanted to know what type of printer people are using because mine doesn’t give me a “wow” factor compared to buying the pages/journal sheets. Anyone? Hey Susan, I use a Canon Pixma (wide format) and it works great when I select high quality print settings, hope that helps! Thank you, thank you, thank you! These are so awesome. 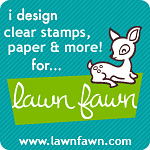 I just can’t spend money on digital scrapbooking so I am always searching for stylish freebies. “Stylish” being the key word. Thanks so much, again! This is such an amazing resource! Thank you so much! Thank you so much from Spain, I like them very much!!! Thank you so much! These are so cute!!! What a generous gift! Thank you. WOW!!! This is amazing. Thank YOU! Just wanted to say these are great and thanks for sharing! Haven’t tried PL yet, but these are helping motivate me! They are beautiful. thank you so much for sharing them with us. Wow.. These are fabulous! Thank you so very much! Your freebies are amazing! Thank you so much!!! Thank you so much! What a wonderful set of cards you’ve shared with us! Thanks for the amazing collection of journal cards. Thank you so much from France!!!! Holy ccow, thanks so much!!! Thanks so much for the beautiful free cards. I have just decided to start a project life album and having free journaling cards will help me get started. Thanks SO much – such a great collection! Wow, I feel like I just won the trifecta, with this downloadable gift from you. Thank you so very much for this gift. I have been looking for some good journaling cards and howdy, you gave me 128 of them. I have been thinking about trying some type of project life. I am not sure exactly what I want to do with it, but I would like to have journaling cards and fillers handy and ready to go. And you have just made a huge addition to my collection. Thank you very much!!!! I love it!!! Thank you for your very generous freebies. I’m not doing PL at the moment, but these are still fabulous to use on my regular scrapbook layouts. Muito obrigado! são lindos! Deus te abençoe! Thank you very much for sharing this, it is simply superb! My PL will be even more enjoyable to create. I’m just getting started in project life so this is such a valuable resource! Thanks soo much! Merci beaucoup, ils sont superbes! Thanks so much for these gorgeous journal cards, it’s great! Bye…bye…have nice day! WOW! This is an amazing freebie…thank you so much for sharing. These are AMAZING! Thank you so much for making/posting them!!! I am so excited to start using them. Hi, i’m just figuring out wat project life is. so this set is amazing to start with. Even for my snailmail friends is this a great gift. Im so excited! I’ve been considering starting this series but the local craft stores are really limited! so this is fun! Thanks cant wait to get my binder and pages!! Thank you so much for these! They are sooooo cute! Thank you so much for sharing these. God bless you! Aww, shucks! 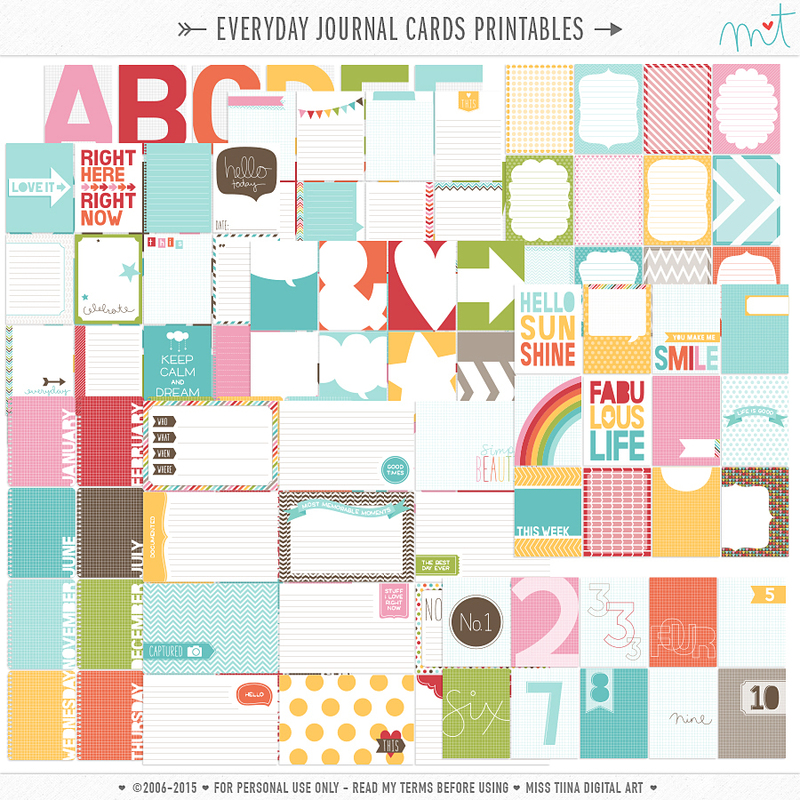 I think I just missed this freebie … just getting into journaling and saw this beautiful set! I just started PL TY for the pretty cards! Can’t wait to add them to my book! They’re so cute and useful! Congrats and thanks a lot! are these journaling cards still available as a freebie? They are so cute! Hola! Acabo de descubrir tu página y me la guardo en favoritos. Muchas gracias por tu generosidad, los archivos son realmente bonitos. Eres una gran artista. Saludos desde España. Thank you so very much for these awesome freebies. I am just now beginning to get into pocket scrapping and these will be so fabulous to use. And they’re FREE…. so what can be better than that? Big THANKS! I just wanted to say THANK YOU as a designer this is how you make your money. So sharing your work for free its very generous. These are amazing and so cute !!!!!!!!!!!!!!????? Thank you so very much for these! They are perfect for my kits and greatly appreciated! Thank you, this is so nice. Thank you! These are so perfectly made. November 2 2017 Thank you so much. Just started pocket scrapbooking and these are still very relevant and so great looking! I love your design style! Thank you, these are much appreciated!